When a new year rolls around, we might vow to use our stash. So what about all of those paper scraps you've been hoarding? Pull up a chair and get some creative ideas for using your paper scraps! Watch the video below or click here (January 2017 Release Class - Inset Chevrons) to watch it on YouTube. Don't forget to subscribe to our YouTube channel so that you don't miss a single tutorial! Let's take a look at more examples of creating with paper scraps using products from My Favorite Things! Even the tiniest bits of card stock can make a big impact when cut with the Stitched Heart Grid Die-namics. 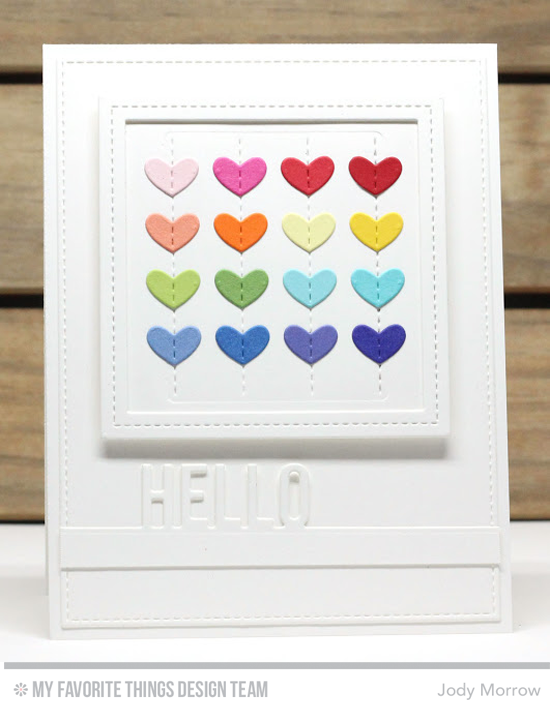 Jody used sixteen different colors on this happy little hello card. Thin strips of patterned paper can dress up a stamped panel in a jiffy. 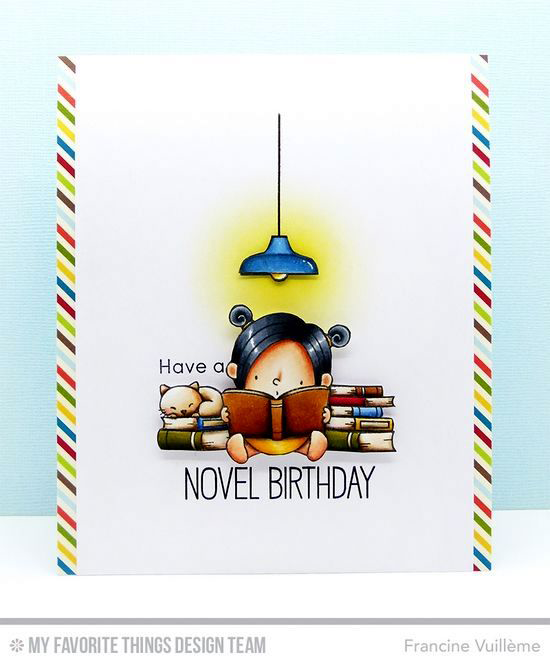 Francine's adorable Our Story scene looks great with the striped borders. Smaller die cuts like the Band-Aids Die-namics are perfect for bitty bits of patterned paper. 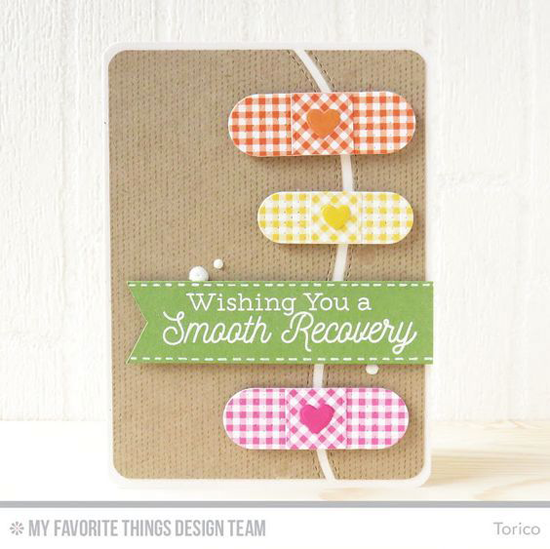 And how cute do these gingham bandages look on Torico's design? You will LOVE using up your paper scraps! Be sure to tag #mftstamps when you post your projects online. We can't wait to see what you've made! my greatest inspirations come from trying to use up my scraps.